Determine the type of home you want and know how much you can afford to spend. You should consult with your local bank for pre-approval. 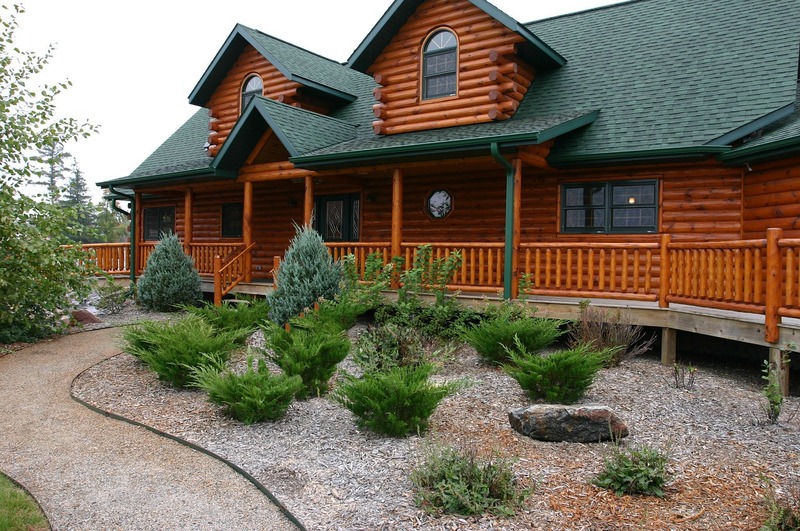 There are also national mortgage companies that specialize in financing log homes. New Homestead will assist you with information needed. The layout of the land on which you build should help determine the style of home and floor plan design. Take into consideration the direction from which the home will be approached, views, sun orientation and neighboring structures. If you haven't already done so, now is the time to explore ideas. Start a "Dream Home" folder. Visit model homes in your area, attend home shows, and gather magazine and catalog pictures. Make sketches and jot notes concerning the things you want, and cut and paste pictures in a layout to use in the design of your home. By sketching a layout of your plans you can expedite your log home progress. Take the liberty of moving rooms around, change measurements and make interior alterations, until you arrive at a plan that fits the needs of your lifestyle. With this basic floor plan information, New Homestead can serve you more effectively. If you need assistance in beginning a custom sketch, we will be pleased to guide you. Call New Homestead for assistance. A qualified dealer will guide you through the channels of preparing for your log home. Once you have established the floor plan design and log style, a cost estimate can be calculated. You will work directly with design and blueprint personnel to completion of your blueprint. New Homestead Offers flexibility. We can put you in touch with a builder, you can build the home yourself, you can be your own general contractor and hire subcontractors or your home can be built turn key. Blueprints will need to be finalized in order to obtain quotes from contractors. Once all your blueprints have been completed and your construction costs are in writing, you will be ready to make final arrangements for financing your project. Your building site should be cleared, foundation work done and the entrance road should be prepared prior to the arrival of your log home materials. Sufficient help should be present on delivery day. Materials will be unloaded and should be double checked by the dealer, builder or customer to varify that all materials listed on packing slips have arrived on the site.